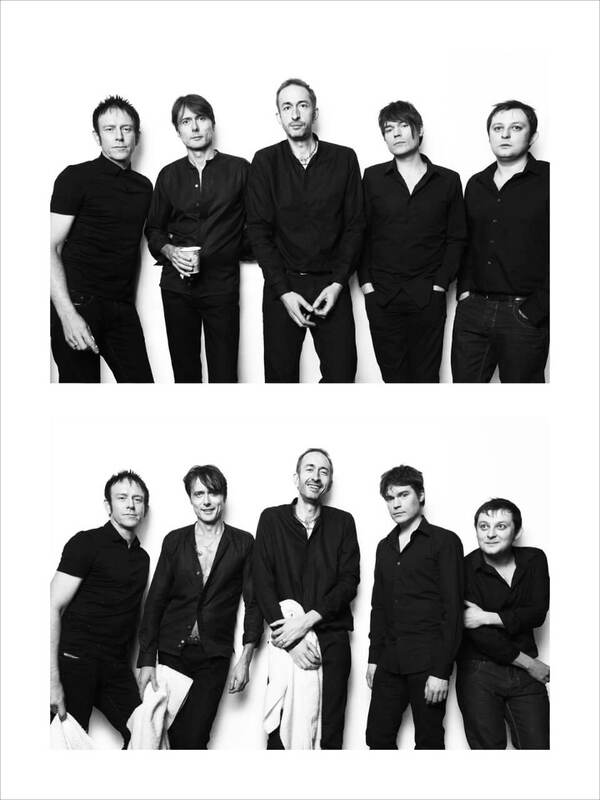 This exclusive Suede interview was conducted by The Future Tense as part of the ON/OFF project. Probably one of my earliest memorable live performances was The Cult in Brighton in the early 80s. Ian Astbury is such an amazing front man, and I remember just being blown away. More recently, the Yeah Yeah Yeah’s have been consistently one of the best live acts I’ve seen. They are not particularly my favourite band to listen to on record, but again she (Karen O) has a great stage presence and is an amazing peformer. For me there is a clear distinction – some bands just work better live, for some reason their music just translates better when it’s raw and stripped down of perfect production values. It’s an important part of the live experience. I’ve never enjoyed a show more than the Albert Hall gig in 2010. It was a moment where we hadn’t played together for nearly 7 years, and we played really well. It sounds clichéd but there was a real magic in the air for me that night. The funniest one was probably Matt falling through the stage in New York in the early 90’s. We used to end the set with To the Birds, which is pretty anthemic, and Matt used to stamp on the stage really hard while playing. What he didn’t realize was someone had covered a hole in the stage with a towel and he ended up going right through the stage and ended up playing the bass up around his armpits like Mark King. The rest of us just crumpled up. I just love playing live. It’s not really about box ticking for me; it’s just the energy of playing a great live gig. I can’t really pin it down but when there’s that magic in the air, it’s a real drug. Bands tend to be Godless individuals, and superstition is about believing in a power higher than you, which is essentially what religion is. And when you don’t have religion you have to believe in superstition. Any band that’s been around for 20+ years will have inevitably collected a huge raft of superstitions. Literally half an hour before you get ready you end up with this huge list of OCD-like routines you have to go through – it’s actually really boring!